Bonding and Molecular Structure: Orbital Hybridization, Molecular Orbitals, and Metallic Bonding. 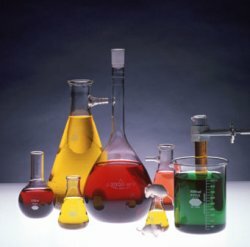 "Rossini, William Tell, and The Iodine Clock Reaction"
Nothing beats this site for Drill and Practice. Choose the tutorial you require. Need a new "Textbook". I have one for you "Online". A simple overview of Science/ Chemistry. Chemtutor is a mixture of notes and practice questions.